Happy autumnal equinox... It's FALL y'all! This is Kristin from School and the City and I'm so excited about today's post. 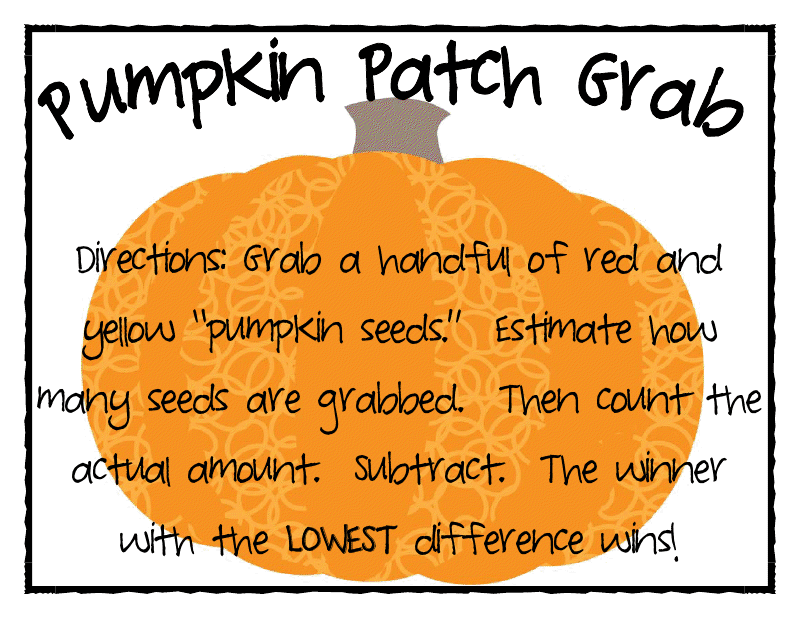 I thought we could kick off this fall season with a collection of FREE fall math ideas and resources! 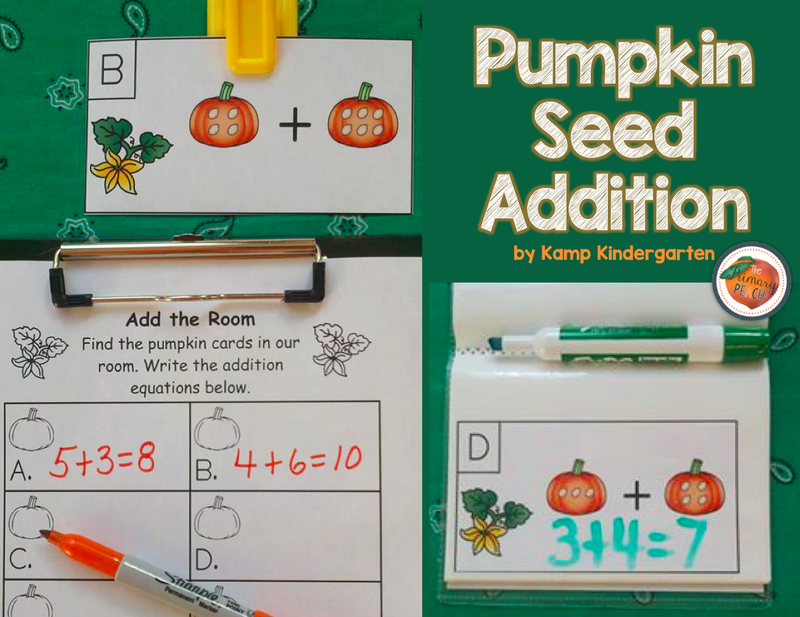 I just adore this super-cute "Add the Room" activity by Kamp Kindergarten. My favorite thing about this is her alternative idea to place the task cards in a mini photo album and have students write the answers using dry erase markers. What a fun idea for early finishers! Mandy from Mandy's Tips for Teachers is full of fun fall-themed ideas. I love these candy corn puzzles! Students will create a candy corn by matching a number in standard form to it's word form and expanded form. 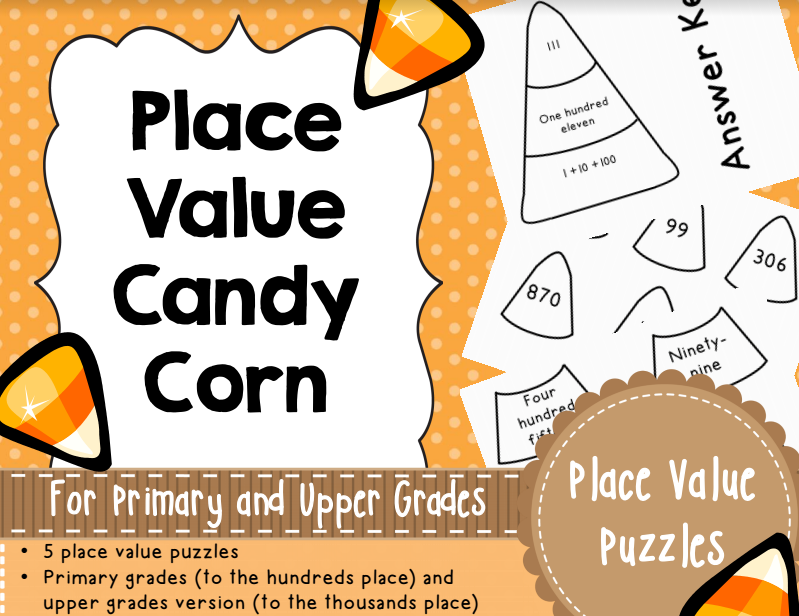 You can differentiate for your students by using puzzles to the hundreds place or puzzles to the thousands place. I can't wait to use this as a review station with my kiddos; I know they will love it! This next freebie, my own, is an oldie but goodie. It's been my featured free product in my TPT store for years now. I actually use it with my own students every year! It's an even and odd SCOOT, or "around the room," activity. I have the numbers represented in four different ways to add rigor and variety: standard form, addition equations, ten frames, and word form. 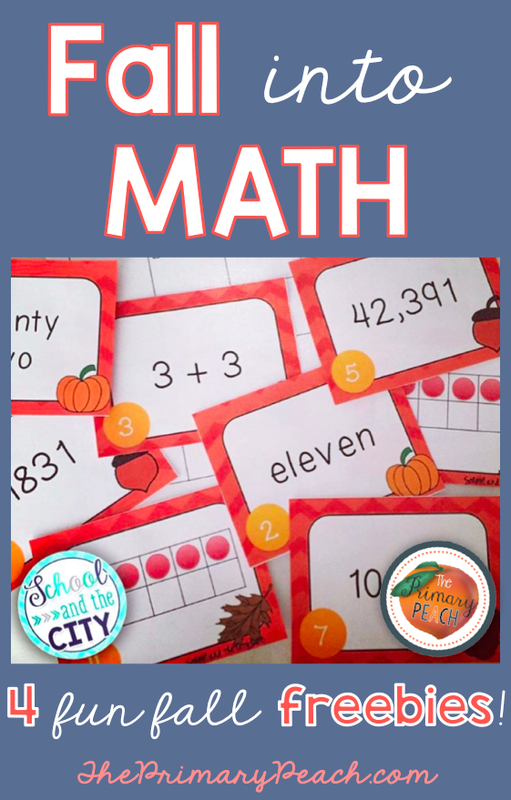 This last freebie, also by Mandy at Mandy's Tips for Teachers, is a recording sheet that you can use as a center during math. You can bring in real pumpkin seeds (which I think would be super cute) or use counters as the "seeds" for estimation. 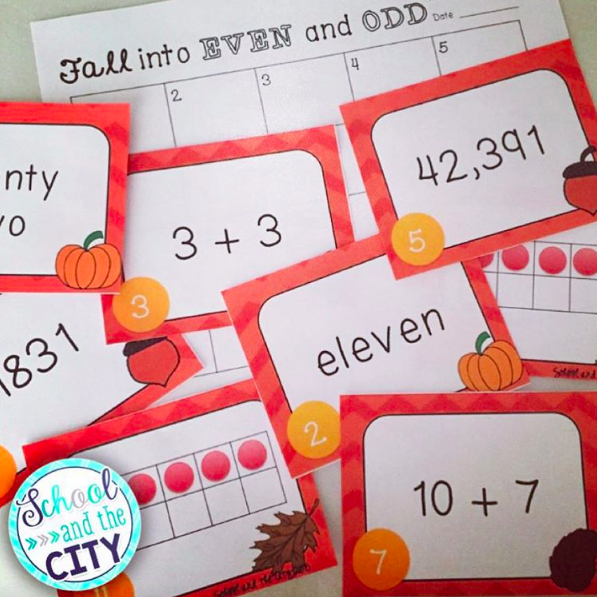 Will you be using one of these fun freebies in your classroom this fall? Let us know if a comment below!